Food Freaks Unite's Blog | It's all about food! I’m currently on a green smoothie kick (2 weeks and counting now) and I’m really liking it. I felt like I needed to up my vegetable and fruit intake and this was the easiest way to do it. I have one smoothie for breakfast and it keeps me full until lunch time. It’s very easy to make a healthy smoothie unhealthy and loaded with calories and sugar so I’ve tried to be smart about what I put in each one. Nothing is wasted and everything can be frozen so if you are thinking of doing this don’t worry about throwing anything away. My go to green veggie is spinach and my garden is bursting with them right now so my green smoothie base consists of that or a mix of spinach and baby kale leaves. I will be trying collards and romaine lettuce too. As far as fruit goes, I put one or two different fruits in each smoothie because the natural sugars in them can easily add up. The liquid bases I’ve use so far are coconut water and almond milk. I am really liking the almond milk especially when I add a little almond butter. Yum! Other additions I use is sprirulina/chlorella powder and chia gel. I don’t use protein powders because I want to keep my smoothies as natural as possible and I’ve stopped eating Greek yogurt so I don’t use any in my smoothies either. I’m hoping to try other ingredients in my smoothies like oats, coconut oil and silken tofu. 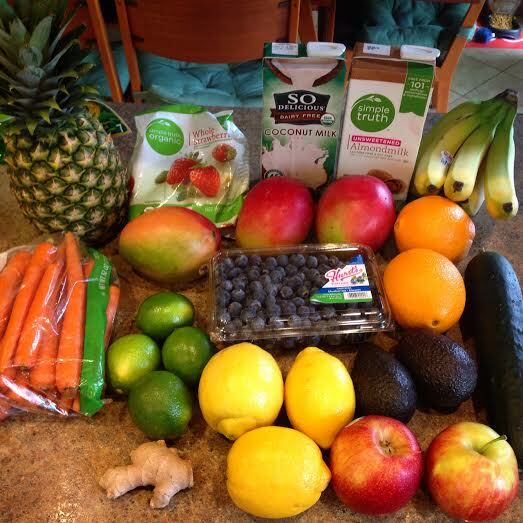 Anyone else on a smoothie kick? 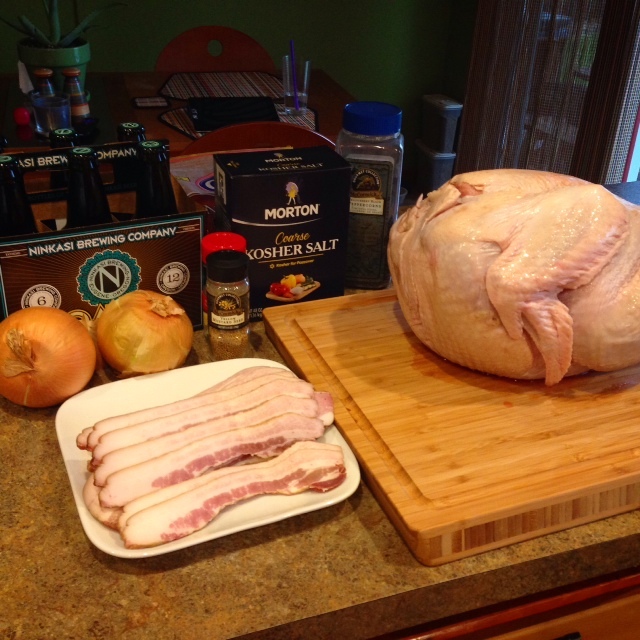 Yes, a stout beer and bacon brine turkey. I can’t even imagine what this is going to taste like but I can’t wait to find out! I’m trying a recipe from Food and Wine, here is the link and wish me luck! The Eisenhower Bagel House is located inside Pinky’s Pizza in my neck of the woods of North Portland. 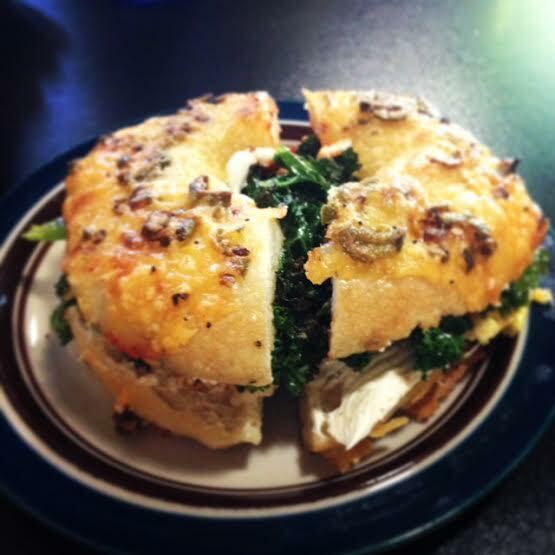 I recently went there to try out one of their bagel sandwiches and it was a no-brainer for me to pick “The Wesley” made with sea salted kale, egg, bacon, pepper jack, cream cheese and sriracha all on a serrano parmesan bagel (you can pick any available bagel though). Now, be warned that you will need plenty of napkins to eat this sandwich because it’s messy as f*ck but worth it as it’s also ridiculously good and filling. I do want to go back and try some of their bagels without all the fillings but it might be hard after eating this one. They do serve alcohol as well but I wasn’t in the mood for it (strange I know) but lately the morning mimosa has me liking a boozy breakfast/brunch. I’ll have to try it here soon. The bar looks lovely and the pizza menu looks like I’ll need to go try one of their pies as well. It’s been a long time since my last post. 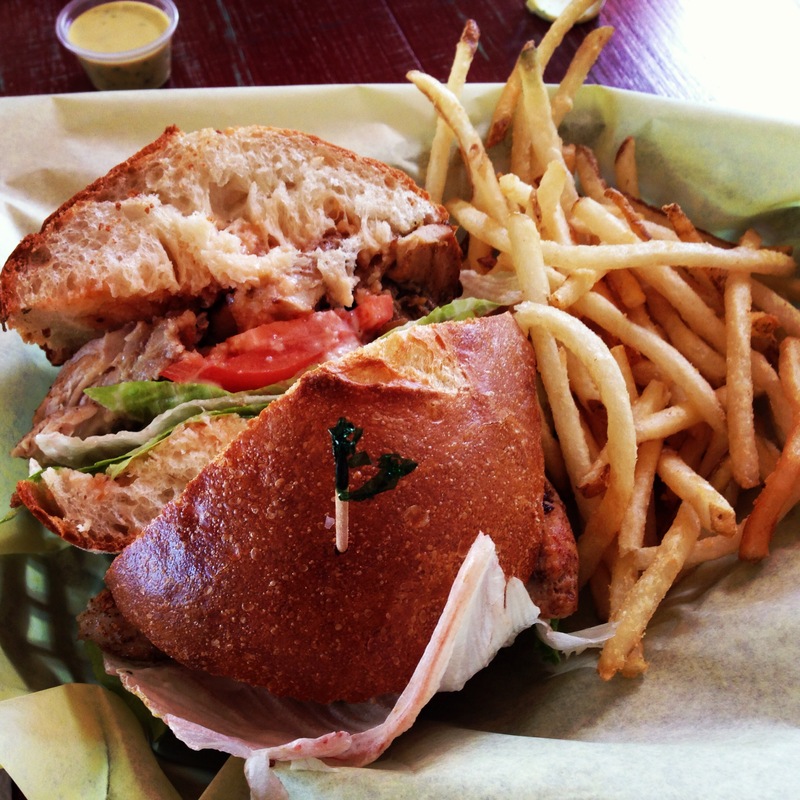 I’ve been super busy with a recent move and summer things that I have neglected my food blog. I’m back and hungry so let’s start this up with brunch! I recently moved to the Overlook neighborhood in Portland and I’m walking distance to The Bad Habit Room which is an event space and brunch spot on the weekend. The space is small but cozy and we didn’t have to wait for a table (unheard of in Portland). The menu is limited but it has the basics for a good brunch. Our drink order was just coffee which was lackluster. Maybe an old pot? Definitely not something I want to drink again though. 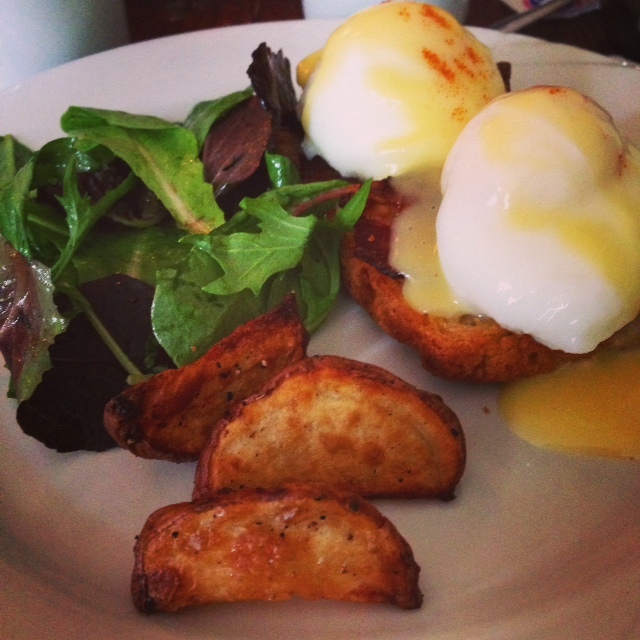 We both ordered the eggs blackstone, their version of the classic Benedict (my go-to all time favorite brunch order). Their version has poached eggs, Saraveza bacon, roasted tomato & truffle jam on SugarPimp’s beer bread with hollandaise served with salt & pepper potatoes and greens. Verdict? Delicious despite a couple problems. The eggs were overcooked which defeats the purpose of eggs Benedict. However, the flavors were great so that made up for the eggs (sort of). The tomato and truffle jam made the dish in my opinion. The bread was OK. We thought maybe it was over toasted but after reading some reviews, it appears to be brought out that way. If the eggs were runny then it might have helped with the bread. The potatoes were great and I wished I had more. I’ve never really understood salad served with breakfast/brunch so I skipped my greens but I was pretty full anyways. I did mention to our server that our eggs were overdone and she apologized and offered their famous pop tart or a discount on the bill. 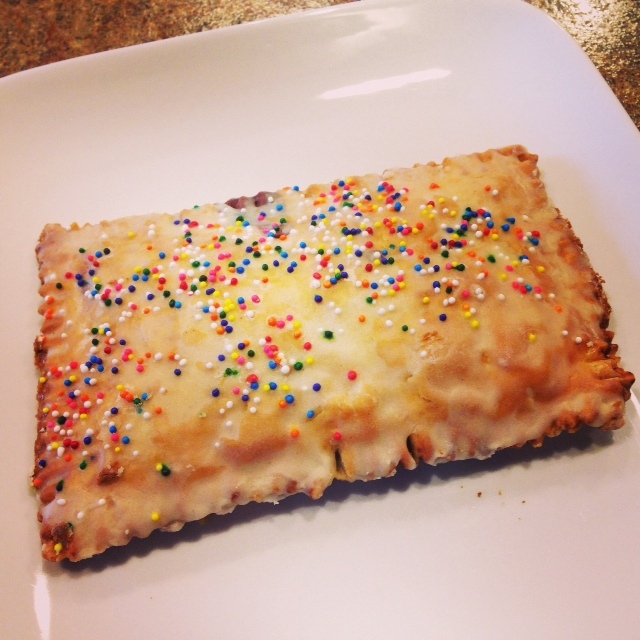 We took the pop tart (cinnamon and sugar flavor) and it was divine. She wanted us to come back and try brunch again which we will. I’m not giving up on a Bad Habit yet. Brunch is served on the weekends only (and without the crazy long Portland brunch spot wait times either) and mimosas are only $2 with any meal purchase. SCORE! I was pretty hungry so I thought I could actually finish this meal but I ate only half of the sandwich. It’s freaking huge! 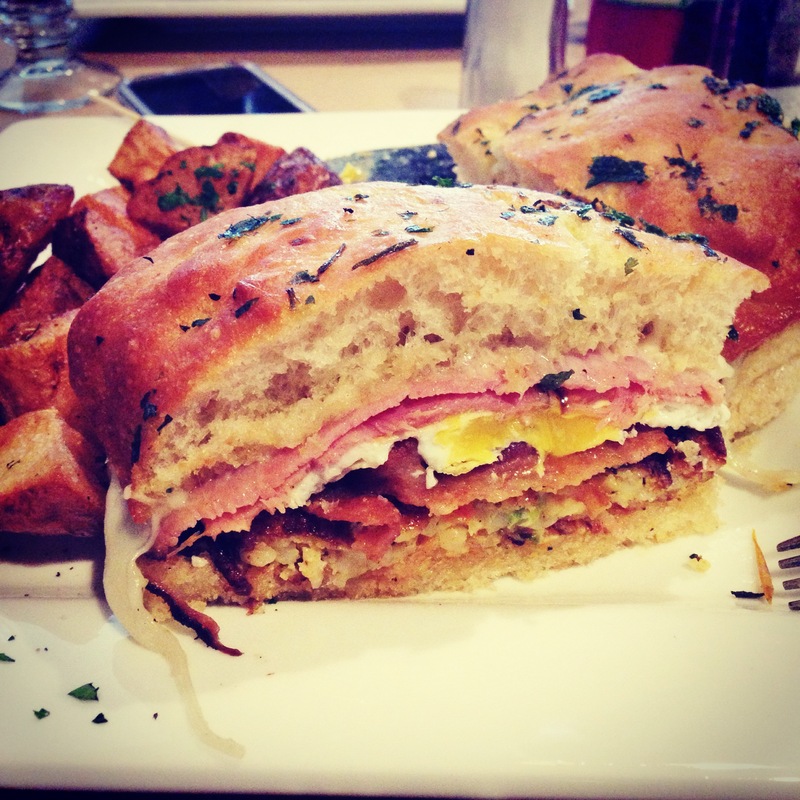 It’s filled with smoked bacon, black forest ham, a fried egg, provolone cheese, a potato pancake and tomato aioli in between herb foccacia bread. It is served with my favorite breakfast item: fried potatoes! The cost is $10 and filled me up until dinner time which consisted of a snack because I wasn’t really hungry. It’s super filling and has so much going on with each bite that you won’t be disappointed. You can substitute the meat for a Morning Star patty for $2. I will definitely order this again! My coworker made these for us for the holidays and I’ve cursed her for it ever since! 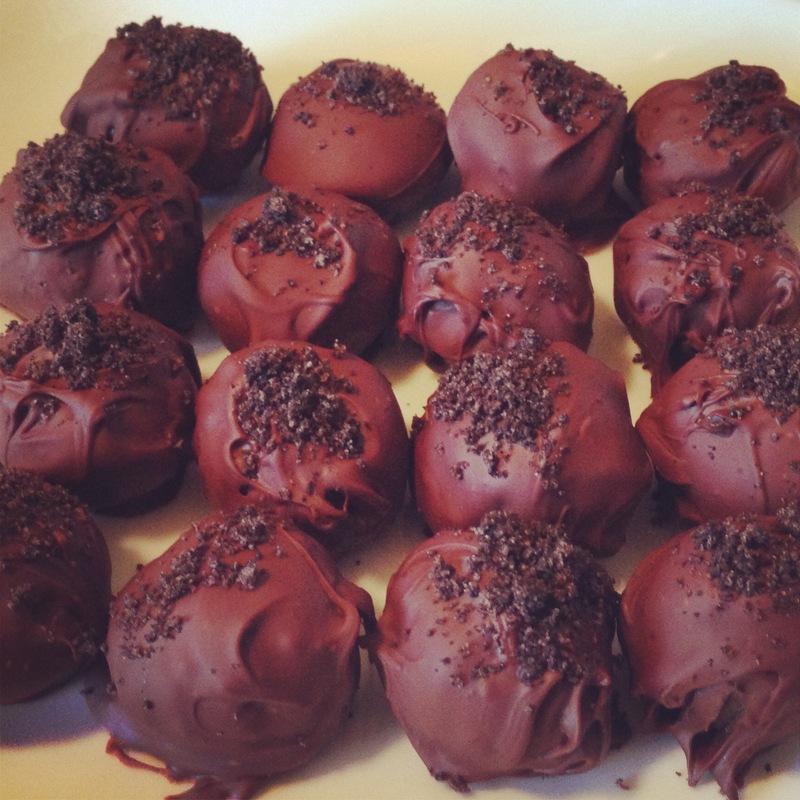 They are decadent, delicious and so easy to make that you just have to try it yourself. Crush the entire bag of Oreos. Set some aside to sprinkle on top if you wish. Blend the cream cheese and Oreo crumb mixture together. This can be done by hand and a bit of muscle which will turn the inside of the truffle more like a cake consistency or you can do it by electric beaters which will make the inside dense and rich. Both are great! Roll the balls into desired size (keep them small as they are rich) and pop them in the fridge for 10-15 minutes to get them firm again. Melt the chocolate in a double boiler or in the microwave (lower setting) and mix continuously until melted. Dip the Oreo rolls in the melted chocolate and put them back in the fridge to set. Now, you can try to use toothpicks and roll them gently around without much of a mess but it’s so much easier to do it all by hand especially since the chocolate will harden if you take too long. Sprinkle the tops with the reserved Oreo crumbs or try sugar sprinkles.